There is a bloc of Dharmic states in south-east Asia, balanced between the Mughals and Dakshina Nad and neutral to them both. They are not so neutral with respect of the One Truth bloc, since several of them have had attempted or successful One Truth uprisings overthrown only with help from the Mughal Empire and/or the Dakshina Nad. The royal families of both the Mughal Empire and the Dakshina Nad have married into those of the south-east Asian nations, and vice versa. Because of their long influence in the region, the Indian nations have had a great cultural influence all across south east Asia. Likewise, in return many workers have gone from the south east Asian nations to the Mughal Empire and Dakshina Nad to make their fortunes there before returning home to retire or set up their own businesses. Because of this there are also significant south east Asian cultural influences across all of India. There is also some European influence in south-east Asia, stemming from the time when they had colonies in the region. This mainly consists of trading links, inter-marriages and elements of the cuisine. Many of the south-east Asian nations use terms derived from the Malay. For example, Bendahara for the highest office that can be held by common people, and Laksamana as the highest ranking Admiral of a nations navy. Because of the different history, higher level of technology, and greater development of the South-East Asian nations they all have populations that are higher than in the real world, adding up to some seven hundred million people (including Sarekat, Samudra [Sumatra] and so on). A nation in the west of south-east Asia, Ayutthaya is the Gurkani Âlam name for the country called Thailand in the real world. Unlike Thailand of the real world it also controls the northern part of what is in the real world Laos, and also most of the Malay Peninsula. In this world the kingdom remains ruled by the Ayutthaya Dynasty [as it was in the real world until 1767], having avoided conquest by Bama [Burma] in the eighteenth century. Ayutthaya remains a major trading centre to the present day, particularly between India and Ling China. In the past it was also a transhipment point for goods from China and Yapon [Japan]. Its role as a centre of trade has been particularly the case since the opening of the Kra Canal in 1877. The government of Ayutthaya is cautious regarding the Mughal Empire as they are near neighbours. Because of this they have a long-standing policy of equally accepting trade and advice from both the Mughal Empire and the Dakshina Nad. In addition to avoiding tying them to one power and maintaining their independence, they also see this as more varied and a generally better idea. In the past Ayutthaya has been approached by the Dakshina Nad and invited to join. However, their wish to retain their independence means that Ayutthaya has so far refused this invitation. The capital of the Kingdom of Ayutthaya is the city of Ayutthaya, another result of the continuing rule of the Ayutthaya Dynasty. Its official religion is Buddhism. Most of the people of Ayutthaya are ethnic Ayutthayan, but there is a significant Chinese minority, and also numerous other, smaller minority groups in the country. The government of Ayutthaya is a duocratic system with the power of monarch balanced by that of the Ayutthayan Parliament, which is selected from the adult population by a process of sortition. The currency of Ayutthaya is the Baht. This is subdivided into eight Fuang, each of which are divided into eight Att. 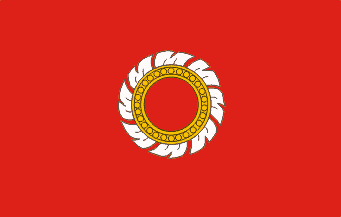 The flag of Ayutthaya is a red field on which is a white chakra, that is a Buddhist wheel in a fan-like shape. A Muslim state on the north-west coast of the island of Borneo, Brunei is fairly rich due to its significant petrochemical resources. However, its government, and the royal family in particular, is quite isolationist and xenophobic, as well as corrupt and dictatorial. For this reason much of the income of the nation is spent on the military, with much of the rest spent on the royal family, or lost to corruption. Because of this the majority of the Bruneian population is very poor and badly downtrodden. Brunei has approached the Dakshina Nad with an interest in joining it, but has been refused. Brunei did join the Long War on the Dharmic side, but did not really contribute to the war effort in any meaningful way. The capital of Brunei is the city of Bandar Seri Begawan [as in the real world]. The flag of Brunei is a plain yellow rectangle, the colour representing the Sultan of Brunei himself. A small, weak state sandwiched between the Mughal Empire and Ayutthaya, Bama [Burma] has long been a buffer state between its two neighbours, forced into a neutral, free-trade-supporting policy by them both. Because of this it remains poor, undeveloped and with a low population density. Many of its people work abroad and send money home, providing the largest source of income of the country. Because of its position between a number of more powerful nations while being poor itself, Bama has become something of a hotbed of espionage over the years, as well as what is effectively a freeport, where all kinds of trading and other activities that might be illegal elsewhere take place. Bama has approached the Dakshina Nad with an interest in joining it, but has been refused. The capital of Bama is the city of Mandalay. Its official religion is Buddhism. The Bamese currency consists of the Gold Kyat, which is divided into sixteen Silver Kyat. Each of these is divided into twenty Pe, each of four Pya. However, in reality the Mughal Rupee, the Dakshina Nad Rupee and the Ayutthayan Baht are used more widely than the Bamese currency. 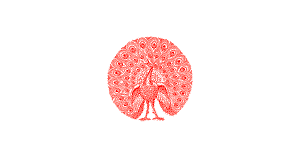 The flag of Bama is a white field with a red peacock design in the centre. A state in the eastern part of south-east Asia, Dai Ngu is the Gurkani Âlam name for the country called Vietnam in the real world. Unlike Vietnam of the real world it also controls the southern part of what is in the real world Laos, and also real world Cambodia. Dai Ngu has a very different history to Vietnam of the real world. Most of the changes arise from the greater strength of the Nguyen Lords of southern Dai Ngu who in this world, allied with the Mughal Empire and Dakshina Nad [in the real world they purchased advanced weapons from the Portuguese], were able to defeat the Trinh rulers of northern Dai Ngu and take control of the entire nation despite their being supported by the Manchu rulers of China. In addition to this the governments of Ayutthaya and the Nguyen Lords divided up Cambodia and the vassal territories of Laos between themselves, Ayutthaya gaining Luang Phrabang and Viang Chan in the north of Laos, while the Nguyen Lords gained Champasak in the south and Cambodia itself. Unlike the real world the Nguyen Lords were not overthrown in the 1780s and remain in power to the present day as a largely benevolent autocracy. The monarchy and head of state is the Nguyen Lord of the Nguyen Dynasty with, under him, an advisory council selected by a process of sortition from the entire population of the country. The Cambodian part of Dai Ngu, in the south of the country, is the poorest region of Dai Ngu, and the one historically the most wracked with unrest, as Cambodians have attempted to maintain their traditional ways of life against Dai Ngu attempts to eradicate them. Since Russian-backed Cambodian unrest during the Long War the Dai Ngu government has been forced to allow the Cambodians to maintain their traditional culture as well as gain partial devolution with limited self-government [much like Wales within the United Kingdom in the real world]. Since then the Cambodian region has been more peaceful, but still lags behind the rest of Dai Ngu in terms of development. In the past Dai Ngu has been approached by the Dakshina Nad and invited to join. However, due to a wish to retain their independence, and under pressure from the Mughal Empire, Dai Ngu has so far refused it. The capital of Dai Ngu is the city of Hué. Its official religion is Buddhism, although there are significant numbers of Daoists too, and many religions are practised by different elements of the population. Ancestor worship is also very common. There is a significant Chinese minority in Dai Ngu, and also numerous other, smaller minority groups in the country. Dai Ngu has a significant percentage of Roman Catholics in its population, due to the influence of French and Portuguese missionaries during the time before the Factory War. Officially Dai Ngu uses a script which is a variant of the Chinese system. However, the Quoc Ngu system developed by Portuguese Christian missionaries from the sixteenth century onwards is also widely used. 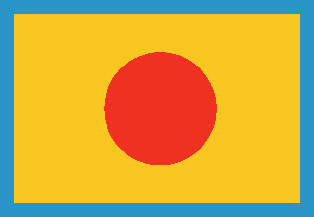 The flag of Dai Ngu is the traditional one for the country, a design consisting of a red circle centred on a saffron field with a pale blue border. A satellite state of the Holy Russian Empire, it was founded in 1880 some years after the Manchu emperor Xianfeng converted to Russian Orthodoxy, or was forced to convert to Russian Orthodoxy by his Russian advisors, as is very much rumoured to have been the case. In doing so he is considered to have lost the Mandate of Heaven. After the Chinese Civil War northern China was renamed the Holy Chinese Empire and ever since has been very much a police state with the government only being maintained by the heavy Russian military presence in the country. The Holy Chinese government has deliberately attempted to eradicate - with varying degrees of success - the Confucian order and Chinese culture and replace it with a Russian Orthodox Christian society and way of life using the Cyrillic script. Traditional Chinese religion and the Chinese writing system, history and culture are all outlawed in the Holy Chinese Empire, although a majority of people know of them and continue to use them covertly. Despite the best efforts of the government and the Holy Russian Empire there is a massive black market in the Holy Chinese Empire for the supplies that people cannot normally get, such as traditional foods and traditional medicine. This also helps to smuggle people out of the country if they have sufficient funds. Defection of people to Ling China and elsewhere is a major problem for the Holy Chinese Empire, one which is handled by a principle of communal responsibility, in which entire communities are held responsible for the actions of individuals, so that all are punished if one defects (which has not stopped very occasional instances of entire small villages defecting), and what is essentially hostage-taking on the part of the government. In this the families of those who are considered at risk of flight, or who might be if put into a new position in the government, are split up, with members held as hostages to the good behaviour of the others. The black market in the Holy Chinese Empire blurs with an underground that attempts to preserve Chinese culture and history against the attempts of the government to erase and suppress them. People still secretly read old Chinese texts, teach their children about Chinese history and culture, Chinese script and so on. 'Priest holes' and secret meeting places for these purposes are dotted across China. It is an open secret that the government of Ling China funds and assists some of these underground groups. It is not unknown for cross-border tunnels, used for smuggling and defection, to be discovered and closed by Holy Chinese Empire border patrols. Practises such as concubineage and foot binding have been outlawed, and monogamy is now the only legal form of marriage. All of this is an attempt to cut the Chinese people off from their past so as to turn them to the One True Way of Russian Orthodoxy under the control of the Holy Russian Empire. Because of the suppression, regimentation and control of the populace that all of this entails, the Holy Chinese Empire is oppressive and poverty-stricken. Famines and starvation are common, and it is very poorly industrialised, with a great deal of pollution, and a near-total reliance on the Holy Russian Empire for things it cannot produce itself. Most of its cities have been rebuilt to match the ideals of the Russian Orthodox Church. The Holy Chinese Empire is massively under-populated for its size, and also compared to the time before the Holy Chinese Empire was declared in 1880. The border with Ling China to the south is the most heavily defended on the planet with a massive no-mans land of barbed wire, watchtowers, tank traps, defences, machine-gun nests, minefields and so on. There is a railway network in the Holy Chinese Empire, which is used entirely for military purposes in much the same way as the one in the Holy Russian Empire. It was built and is maintained by Russian workers, uses the Russian railway gauge and Russian rolling stock, and links only to the Russian rail network. There are Kremlins dotted across the Holy Chinese Empire, in all of the major towns and cities, often based around existing fortifications, city walls and so on. The largest of these is the Forbidden City in Beijing from where the Holy Chinese Emperor rules. The Holy Chinese Emperor has not been considered by the general populace to have held the Mandate of Heaven since the conversion of Emperor Xianfeng to Russian Orthodoxy in 1848. However, there is nothing that can be done about this at present as the Russians have the country firmly under their heel. Massive amounts of conscript labour are used for tasks the Chinese or Russian governments believe need performing. There was an attempt to merge the Holy Chinese Empire with the Holy Russian Empire in 1916, but this caused so much unrest, even in the highly policed Holy Chinese Empire, that the idea was abandoned. Even so, there are large numbers of Russian immigrants in the Holy Chinese Empire, generally living in their own enclaves where they have little contact with the Chinese population. These immigrants boost the population of the Holy Chinese Empire to some extent, but do not entirely compensate for the under-population of the country. The currency of the Holy Chinese Empire is the Chinese Rouble, which is linked directly to the Russian Rouble to the extent that it is basically the Russian Rouble by another name. 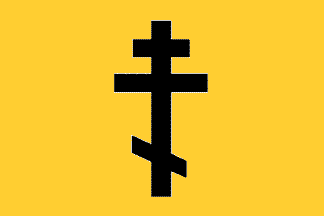 The flag of the Holy Chinese Empire is a black Slavonic cross on a saffron background, supposedly linking the old China with the Holy Truth of the new regime. The southern Chinese nation of Ling China is a total contrast to the Holy Chinese Empire. It is a dynamic, thrusting, advanced nation with close economic, military, trading and intellectual links to the other nations of Asia and countries around the world, particularly the states of South East Asia and India. With its capital city at Xian and ruled by the Ling dynasty, Ling China grew out of the unrest caused by the Chinese Civil War and the founding of the Holy Chinese Empire after the Manchu emperor Xianfeng converted to Russian Orthodox Christianity in 1848. When the Russians began to impose their rule on China through Emperor Xianfeng, General Huang Zuoyi in the city of Wuhan in the south of the country rose up against them in rebellion, stating that the Emperor had lost the Mandate of Heaven and that he would lead China back to greatness, protect its traditional ways and culture, and solve the problems that had caused Russian intervention in the first place. After a long and extremely bloody civil war, this did in fact happen, at least for the southern parts of China, with a new capital being established in the city of Xian. Driven by fear of the Russians and the Holy Chinese Empire, and because of the links to the outside world that southern China had developed before and particularly during the Chinese Civil War, and the help Ling China received from them (seeing a strong China as a bulwark against Russia), Ling China and the Ling Dynasty have become much more progressive and outward-looking than has traditionally been the case for China. With the assistance of those nations who helped it during the Chinese Civil War Ling China has been able to fully modernise itself. It is responsive to outside influences and willing to trade with and learn from the outside world, much more so than previous dynasties. This has been helped by the influx of refugees and so on from northern China, who included soldiers, imperial officials, and most importantly the intellectual and business elites from the north. The law and government of Ling China is based upon the system of Collective Responsibility, which is rooted in the teachings of Confucius. Under this system groups of families are mutually responsible for each others good behaviour and share each others punishments for bad behaviour. Households are organised into groups of ten. Each household sends a representative to a monthly meeting of its group, and each such group elects a leader to represent it at the level of government above it. The head of each group is responsible to the level above it for the conduct of all members of their group. This is known as the 'bao jia' (tithing) system. Groups made up of heads of lower-level groups extend up through the Ling Chinese local and regional governments to the level of the Chinese Imperial government, the Grand Council, in Xian. The bao jia system is also the means by which taxation is levied on the populace and welfare and other such things distributed to the population as they require it. There is a large corps of Inspectors, a branch of the Civil Service, who work to enforce the proper running of the system. As part of the reforms of the Chinese system that formed Ling China as it is today, Chinese criminal law was codified into a set of written laws, greatly restricting the flexibility magistrates could exercise during trials. The accused are granted some rights, some protection from 'unnecessary' torture, and are not allowed to be jailed for long periods while awaiting trial. The Emperor has done what is necessary to make the courts as appealing as possible, stressing the rule of law over their own moral influence, and working to minimise the loss of face and fear involved in making an appearance in court. Another reform of the Chinese system has been the extension of educational opportunities to all of the population, so that everyone has the opportunity to take the modern form of the Imperial Examinations and become part of the learned bureaucracy, or any of the other doors which success in the Examinations will open for a person. Unlike the Holy Chinese Empire where such things are outlawed, Ling China holds fast to all of the traditional Chinese social practises, such as polygamy, concubinage and foot binding. Additionally, the Ling Emperor is definitely considered to hold the Mandate of Heaven, and reigns as an enlightened ruler with his power balanced by that of the Grand Council in a Duocratic system of government. It is an open secret that Ling China actively funds groups in the Holy Chinese Empire that help people defect and also smuggle cultural and other subversive material in, as well as discreetly assisting groups working towards the overthrow of the Holy Chinese Empire. In many cases this is done through the numerous Daoist militias or the criminal Triads. This is of course denied in public. However, the stated policy of the government of Ling China does include the intention to eventually re-unify the Holy Chinese Empire with Ling China. Ling China has an advanced transportation system, with roads and railways linking it to its neighbours. It is also the world's sixth nuclear power. Because of the very different history of China in this world, the population of Ling China, even taking into account the lower area of it compared to China in the real world, is lower than that of the real world. However, it is growing. Ling China has leased part of the surface of the Moon from the Mughal Empire and Dakshina Nad. The currency of Ling China is the Sycee, which is of silver and which is divided into one hundred copper Kuan. 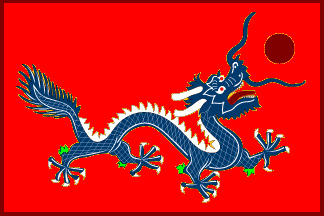 The flag of Ling China is a Chinese dragon facing towards the fly on a red field with a thin dark red border. Formerly the Sultanate of Johor, the Republic of Samudra was formed after the Johor Revolution of 1965 which set up the Johor Umma, a strict One Truth Islamic state, which rapidly deteriorated into a vicious military dictatorship. This was finally overthrown by the Indian Alliance in 1974. With the few surviving members of the royal family of Johor having fled into exile in Sarekat, Brunei and Ayutthaya, the people of Johor no longer considered them fit to rule. As such a military junta was put in place after this, which ruled until a peaceful Second Revolution in 1997. 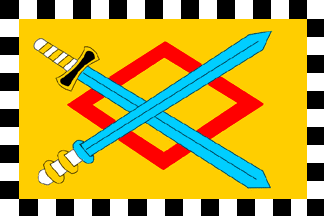 Following this, after long deliberations Johor was turned into the Republic of Samudra, a representative democracy and one of the few nations on Earth to not have a royal family, a monarchy or a nobility, despite the best efforts of some of the surviving members of the Johor royal family to re-impose them on the country. The Republic is a moderate Freethinker state, one of few in the region, with separation of Religions and State growing out of the two revolutions it has suffered, but no other restrictions on religious membership and practises. With the formation of the Republic of Samudra, the new nation has been approached by the Dakshina Nad and invited to join. However, due to a wish to retain their newly-won independence, and under pressure from the Mughal Empire, Samudra has so far refused it. The capital of Samudra is the city of Palembang. The second city of the Republic is the city of Tanjung Pinang in the island of Bintan. The Sarekat Negara-Negara Jawani is a federation of the various states within its borders created in 1835 by the signing of the Banten Pact. It was originally formed by the Mataram Sultanate for the protection of the Jawanese [Javanese] way of life, but over time it has expanded to include nations outside Jawa [Java] itself. By the present day its members include Jawa itself, southern Borneo, Bali, southern Sulawesi and the Maluku Islands, with the Mataram Sultanate dominating [unlike the case in the real world where the Dutch East India Company came to dominate Java]. By the present day it is one of the largest exporters of minerals, oil and gas in the world. Quite rich, it is also quite industrialised and somewhat polluted. Its capital is at Banten [Bantam] in the west of Jawa, the location of the signing of the Banten Pact. The Sarekat Negara-Negara Jawani is commonly referred to as simply Sarekat [Federation], much as the Kanyakumari Federation is referred to as the Dakshina Nad. The word 'civilised' in the name of Sarekat as a whole refers to the way in which Jawanese people, especially the nobles, often considered themselves the most advanced people in the world and also those with the most perfect norms and styles [although contrary to this, the Jawanese people in general are known as modest, polite people who always try to avoid conflicts and confrontation with others]. Jawani refers to the island of Jawa itself, and is the native name for it. Sarekat is a mixed society, with Hindu, Chinese and Buddhist elements. The official language of Sarekat is Jawanese, the main language of the island of Jawa itself. However, because of the diversity of peoples that make up Sarekat a great many other languages are also spoken within it. In the past Sarekat has been approached by the Dakshina Nad and invited to join. However, due to a wish to retain their independence, and under pressure from the Mughal Empire, Sarekat has so far refused it. It is traditionally allied more with the Dakshina Nad than with the Mughal Empire. 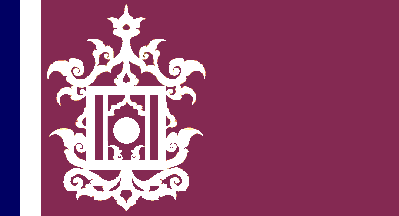 The flag of Sarekat consists of a pair of crossed swords on a saffron background, the traditional flag of the Banten Sultanate, with a border of alternating black and white squares representing all of the states of Sarekat. A nation spread over the north of Borneo and parts of Sulawesi and the Philippine islands. Sulu is small and not terribly industrialised, but fairly rich due to the significant oil fields in its territory. It is also a significant mercantile power in the region, benefiting from its largely neutral political stance, minimal regulation of trade and roughly central geographical position. In recent decades the Sultanate has also developed a reputation as a facilitator for businesses of all kinds, and also in the brokerage of information. With the end of the Long War and the increasing use of the Lace around the world, the Sultanate is also developing into a successful data haven. The Sultanate has attempted to join the Dakshina Nad on several occasions, but has been unsuccessful in doing so, largely due to opposition from the Philippines. The capital of the Sultanate of Sulu is the city of Jolo [in what is, in the real world, the southern Philippine Islands].